Smania continues to research and experiment, not only with new styles, but also with new materials. 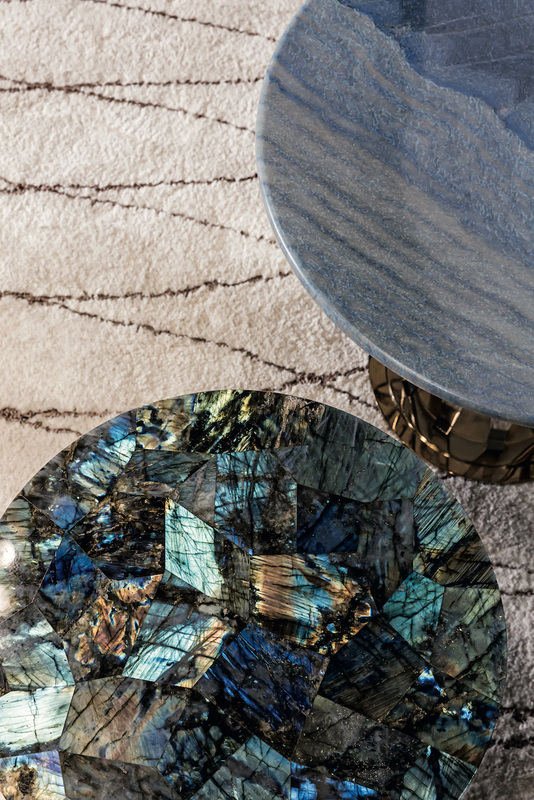 Noble, sophisticated materials that underscore the company’s ability to stand out, creating a highly personal style driven by the pursuit of perfection. For this year’s Salone del Mobile. 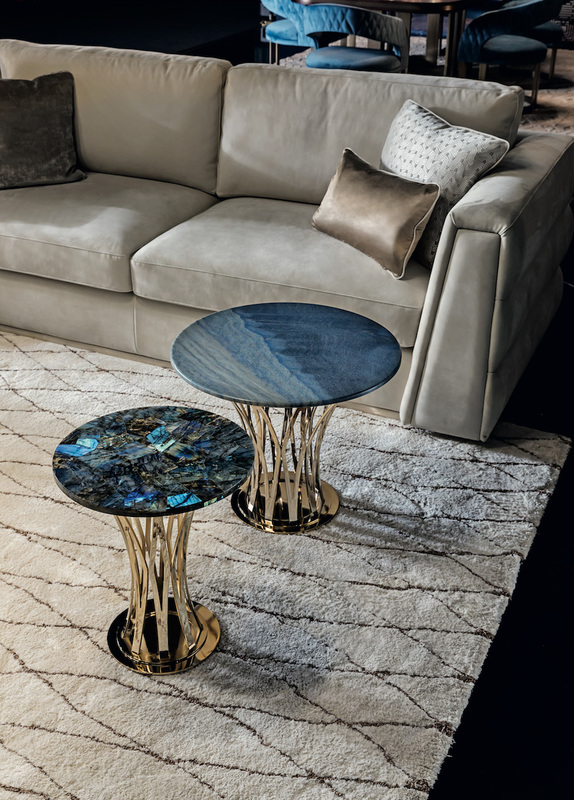 Milano, Smania has introduced surfaces in two new gemstones: labradorite and tiger’s eye. The former is a mineral first discovered in 1780 in the Labrador Peninsula, in Canada, and is marked by an extraordinary optical effect given by shimmering, multicoloured flashes of light blue, purple, green, yellow and orange. Labradorite is said to stimulate intuitiveness and creativity, and artisans like to work with it and tap into its energy. Ax example is the round Giselle side table, with its unique woven structure in gold-plated steel. Tiger’s eye is a quartz crystal streaked in golden yellow, whose reverberating shafts of light highlight its brilliance. New colour patterns emphasise the Smania compositions, creating attractive, inviting environments.